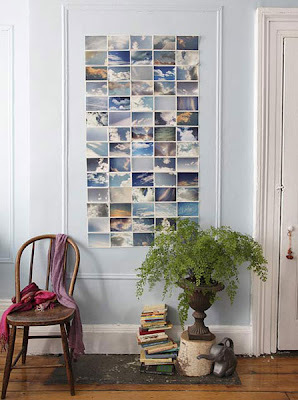 Today's post has nothing to do with dating or romance directly, but...decorating with pictures of you and your spouse can be a great way to demonstrate your love on the walls of your very home. I love pictures...However, I'm not one of those people who have tons of photos smothering my walls or in picture frames crowding every available space in my house. 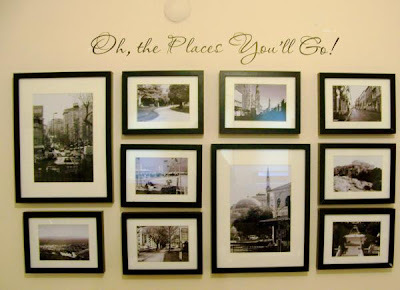 BUT, I have seen a few adorable photo walls that I'd like to share. I think this would be so cute with engagement/wedding pictures or family portraits. 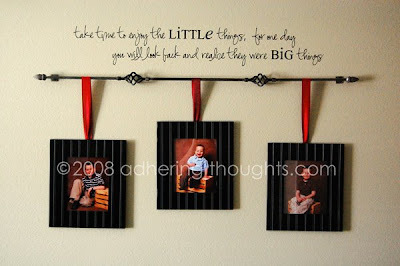 My friend, Meagan, has this super cute photo frame collage on her wall along with vinyl lettering. Step into my home! ...this is actually one of my walls...I ordered my vinly lettering from A Wishful Thought. Who needs frames? 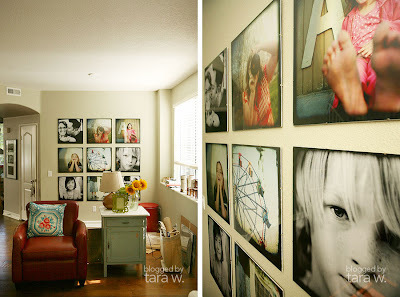 Just slap those pics on the wall! I'm envisioning photos of a couple or family...not clouds. Simple & Classy...I like it! Simple and elegant--plus, there's a tutorial! Click link below. Don't forget to enter the giveaway HERE!! I'm so glad you posted this. In the next couple of months (when my husband and I get new furniture) we'll be moving stuff around and I'm going to have a big blank wall that I've already started coming up with ideas to do with. I love all of these ideas, I think I may have a better idea of what I can do now. Thanks. By the way, here's a link to a post I did back in 2008 including the way I decorated a wall in our old apartment. The picture quality isn't that great, but you can click the image to enlarge it at least. And, in case you were wondering these were all pictures from our One Year Anniversary. soo cute, Courtney! Thanks for sharing! I have come to enjoy the blog world. I have also come to love the blogs that I stumble upon, and yours is one of them. I just wanted to share that thought with you. Thanks. I LOVE home decor that has meaning! We have some of the same type things you posted. Thank you for all of your hard work with your wonderful blog. I love all of your posts and look forward to them. Our marriage has been strengthened so much by implementing your ideas in to our marriage. Thank you a million times over for sharing your talents!!! I loved so many of these ideas! I am always looking for ideas for the walls for our house, and I just may use some of these. Thanks for the ideas!!! I love these. Thanks for sharing!! If we have an idea for you, where should I post it/send it to? These are perfect! I'm feeling inspired. Oh, I love that one that you said is stunning! You're right, it is!!! I am adding it to my "inspiration" file right now. 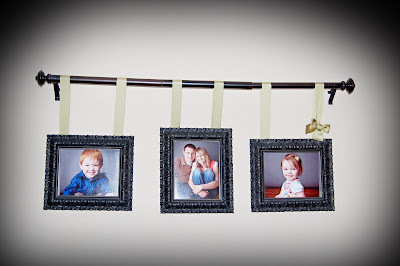 The one I just put up in our new place is not a beautiful as these, but we love it! I'll have to send it to you!